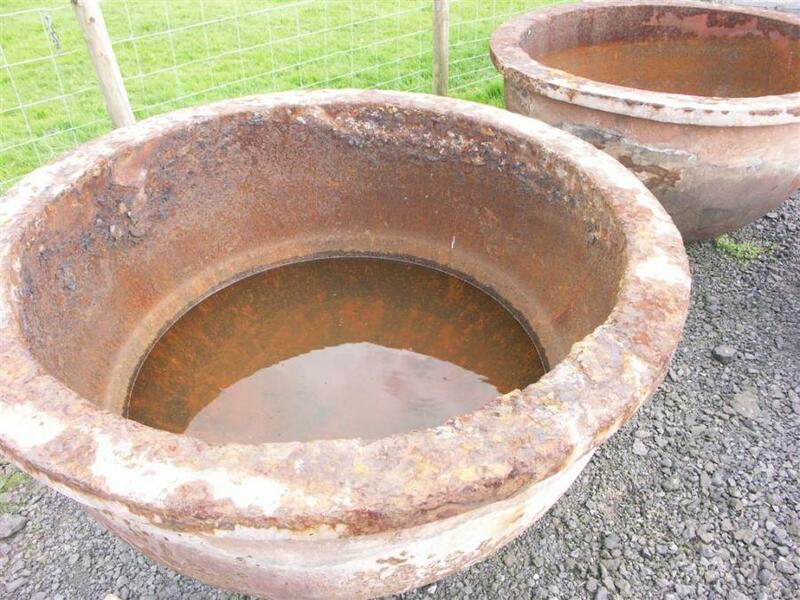 A pair of 19th century cast iron vessels of large scale.Beautiful shape with thick rimmed circular tops and semispherical bases, and colour with pink,red and rusty hues. 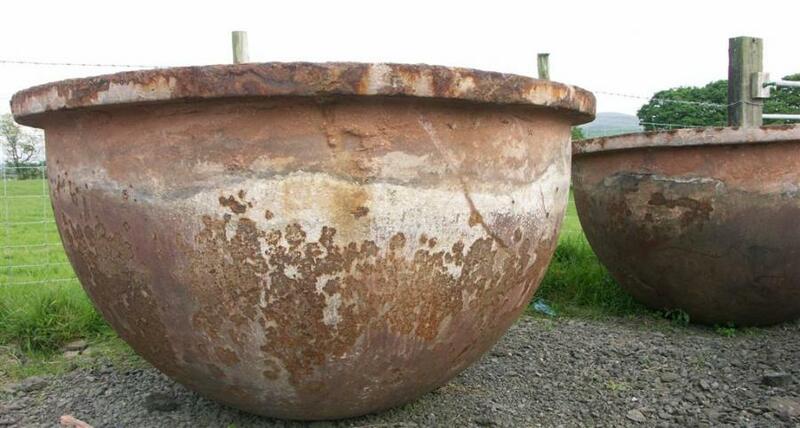 From a tannery,Accrington,Lancashire,UK.Five feet in diameter by approx 32 inches high.One has been weighed at 1384 kg so reckon on just under three tonnes for the pair. 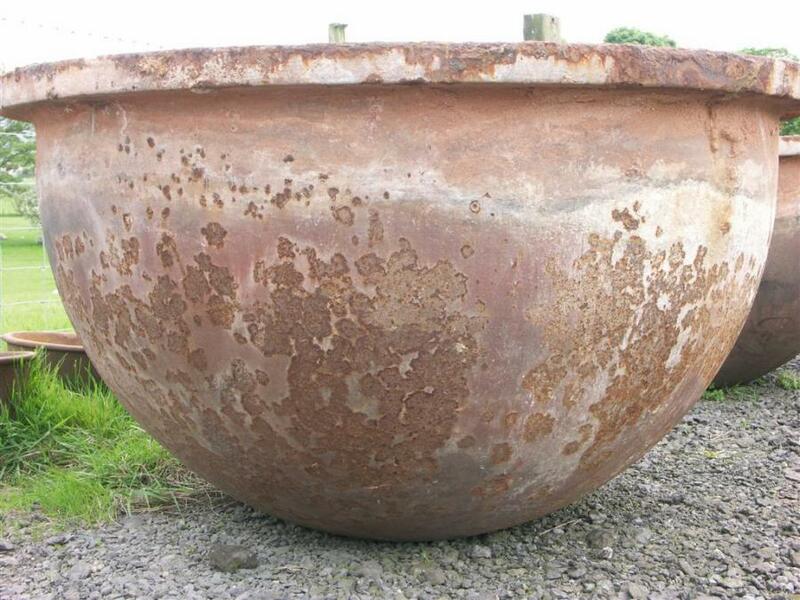 A very rare item. More photos on request.